The Ferrari F1 mechanic who suffered a broken leg after being hit by Kimi Raikkonen during the Bahrain Grand Prix has undergone successful surgery. 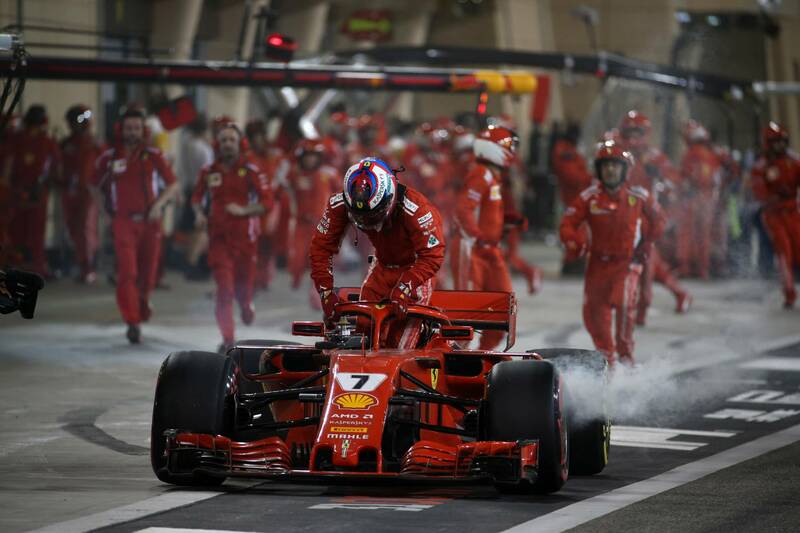 The Ferrari Formula 1 mechanic who suffered a broken leg after being hit by Kimi Raikkonen during a pitstop at the Bahrain Grand Prix has undergone successful surgery. Francesco Cigarini was attempting to fit a new left-rear tyre during the botched stop when he was hit by Raikkonen’s Ferrari after the Finn was mistakenly given the green light to leave his pit box. Raikkonen subsequently pulled away but ran over Cigarini’s left leg, with the Ferrari pitstop crew member suffering fractures to his shinbone and fibula. The Italian was rushed to Bahrain’s BDF Hospital and posted on Instragram from his hospital bed on Monday morning to provide an update that his surgery had gone well. "The operation went well," he wrote. "I want to thank all the people who asked about me and worried. Sebastian Vettel went on to claim back-to-back victories for the Scuderia, while Raikkonen was forced into retirement for having a mix of two different compounds fitted to his Ferrari - which is against F1’s regulations. The Italian squad was fined €50,000 for the unsafe release and is currently investigating why its automated pitstop system told Raikkonen he could leave, despite not having all four wheels re-fitted.